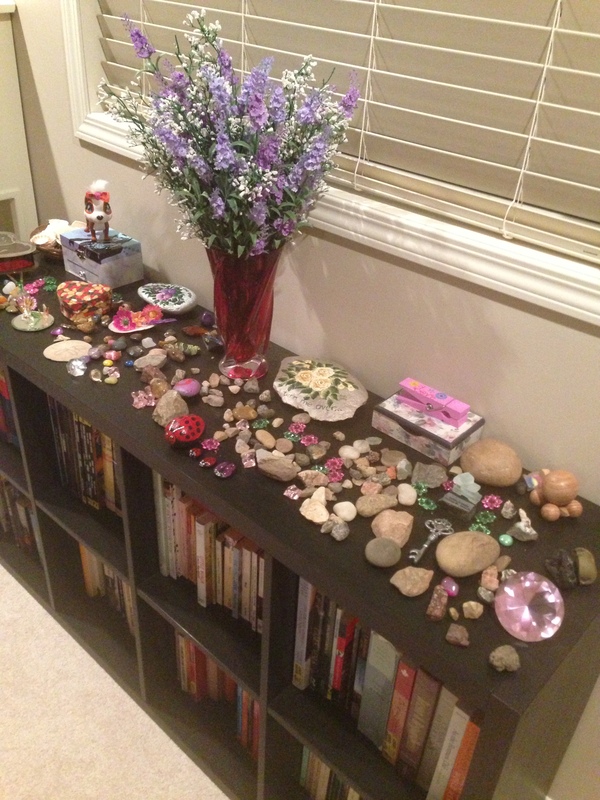 The thing I would like to discuss with you today is my daughter’s obsession with rocks. Over the years, I have come to the conclusion that there is actually no real reason for us to buy our children toys. I think that a lot of parents, me included, buy toys for themselves mostly. They get to enjoy making their child happy and they get to wonder at a new thing for a little while. It’s kind of like cartoons, you never grow out of them completely. And as grown ups we often buy for our children what we wanted growing up, only to find that our kids don’t actually care for it at all. I have learned that lesson a couple of times now. Cabbage patch dolls anyone? My daughter couldn’t care less about hers. Back to the rocks. If you watch a child in nature you will discover something very eye opening. Mother Nature has actually created and provided everything that a child could ever want or need to play with and often, children will favour the ‘toys’ of nature over anything else. The proof is in the pockets I say. My daughter comes home from school with her pockets lined with a litany of rocks, twigs, buds, leaves, flowers, pinecones, even empty cocoons (empty whew!). And all of these things are magical to her. There is more magic in finding a sparkly piece of generic roadside gravel than in all of the toy stores combined. And she never tires of them, constantly clamouring for more, bigger and brighter all the time. Rocks. Who knew? Mother Nature did. Me and my washing machine were not expecting it though. Now we be sure to empty all pockets. Of course she doesn’t just want to find rocks. She wants to put them on display. Luckily I have convinced her that other pieces of nature must stay outside but I will oblige the rocks. For now. So a small rock shelf was in order. I found this one. Again, my before picture has gone astray, but you pretty much get the point. Mine was a dark hunter green, perfect for a diva princess girly girl. Or not quite. PAINT!! And now it is ready to go for years of rock collecting. Needless to say, it wasn’t a perfect solution. She has since decided that she must take over the top of my bookshelf too. They are only young once, I say. And you can never have enough rocks, right? My last shelving expedition was out of necessity as well. Most of my projects are. I usually find myself with a problem and then suddenly I am up to my eyeballs in projects that are supposed to form some kind of solution. That’s why I am not a professional at this. I am just flying by the seat of my pants and trying to stay organized like everyone else. What I mean is, I have never had an actual plan. 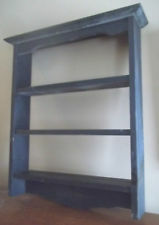 The dilemma that I was faced with required that I find another shelf for my mudroom. Again it was an itty bitty living space with more functions crammed into it than wall space and me left standing there wondering who the heck thought up that brilliant plan. I was faced with a laundry room that doubled as a mudroom that also doubled as an entry to my garage with closets for coats as well as a utility closet and a door into my pantry that was quite the selling feature for buying the home in the first place until I attempted to put it to any kind of practical use. It was realized that first of all a walkthrough pantry was only feasible if you could actually walk through it. As it stands, the ‘walkthrough’ pantry door is so narrow that arms laden with groceries, no real person can actually fit through it. So I immediately blocked off that door completely and rendered it useless as it already was anyway. 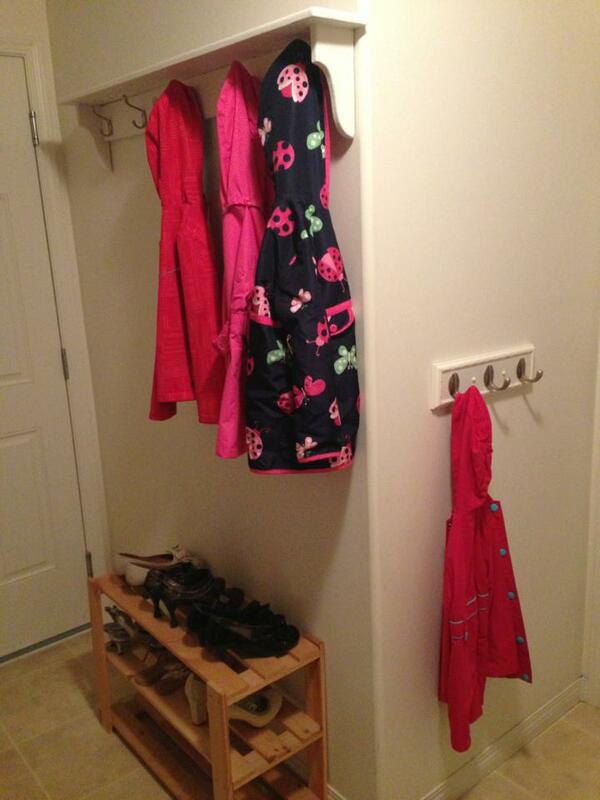 The coat closet was also useless. 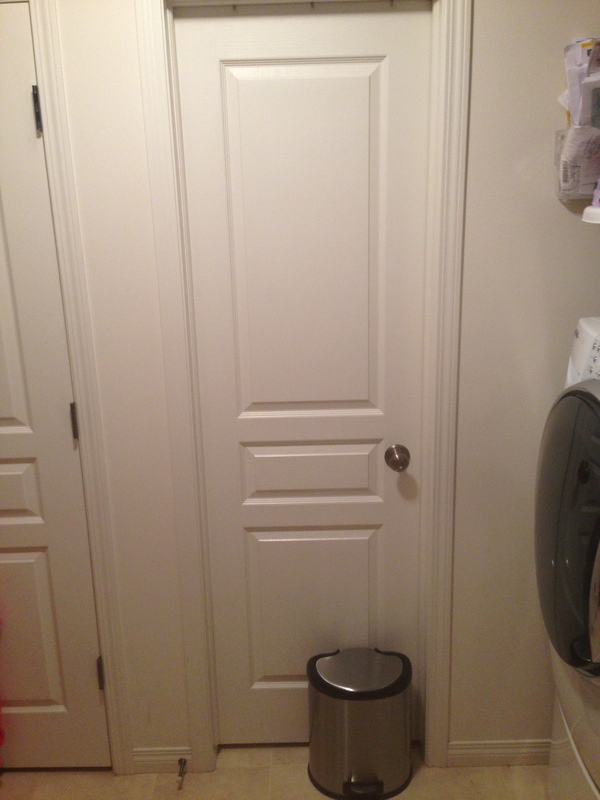 There is barely any space to begin with so why would anyone want to open the giant closet doors to get out their coat just to have said closet door blocking off all of the remaining space. It’s a hazard that I don’t even want to go near as I am sure that I will be the one to get smacked in the eyeball by a rogue closet door left unattended. So I immediately filled that closet with random crap and closed it off as completely useless because it is. Wow, right? Who builds these houses? And so it went. So rather than ending up in hospital from impaling myself on closet hangers and knocking my teeth out on the mammoth doors, I had to come up with a better solution. So I did, but honestly for this one, I was faking it mostly, and therefore it didn’t turn out exactly as planned. 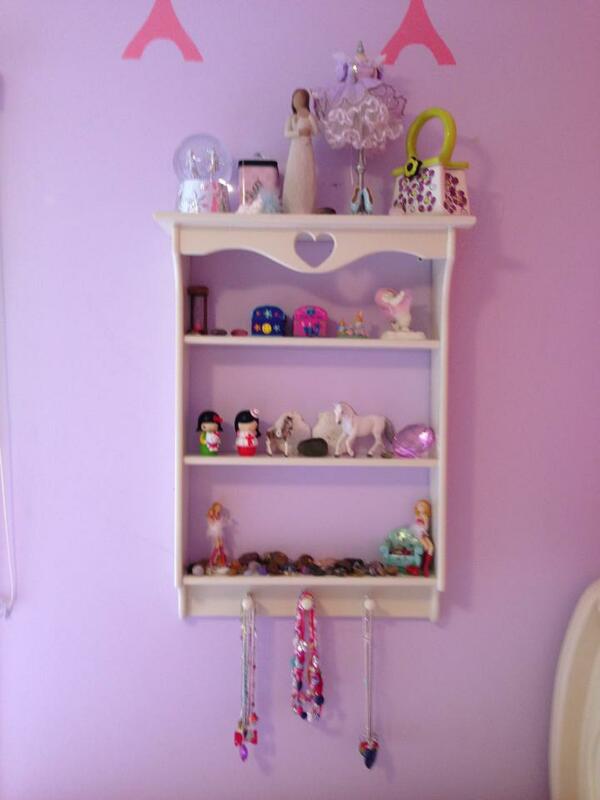 The hooks are hung too high so that it is just a bit snug to get the coats onto and off of them and when I ‘measured’ (this is a very loose term) where to place the shelf on the wall, I must have miscalculated because it hangs over a bit. Not much but still, it’s the little things that count right? I never said I was perfect. I also hadn’t discovered the wonderful world of spray paint for wood projects at this point so I painstakingly painted with a brush which I have to say is the worst way to paint anything. It goes on uneven, becoming thicker in some spots than others, it drips and blobs everywhere, the brushstrokes show and you are guaranteed to get the stuff all over yourself in the process. Death by closet is on the opposite wall. 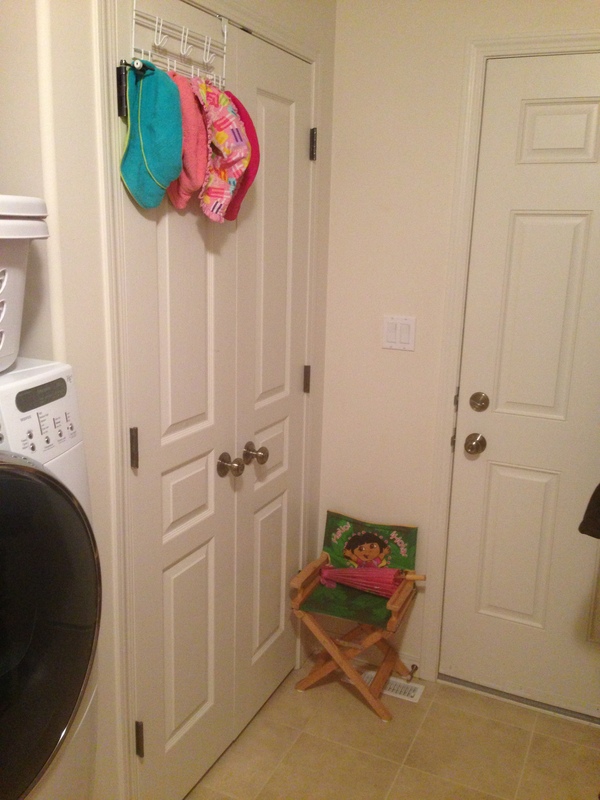 This set up is more kid friendly and it allows her to be in her own space, while I am in mine. I had to add the shoe rack because the shoe rack that came with the house is built into the landing on the garage stairs. WHO PUTS THEIR SHOES ON AFTER LEAVING THE HOUSE? And who wants to crowd onto the tiny little top landing of the garage stairs to put their shoes on? As long as our garage is unfinished, we will just use that one as seasonal shoe storage. Well that concludes this post. If anyone has any questions about furniture refinishing or rocks or six year olds you know where to find me. Ask away.